A new app is sweeping the social media landscape. It’s become even more popular in the App Store than Snapchat and Facebook. TikTok (formerly Musical.ly) is a video sharing platform that allows users to create, share, and react to short videos that play over a soundtrack. It’s essentially a hub of home music videos. TikTok can be fun for everyone if it’s used in the right spirit. But not everyone uses the app how it was intended. Just like other social media platforms, TikTok is quickly becoming a hotbed of abuses ranging from cyberbullying to sexploitation that parents should monitor with Bark. Here we dive into the app’s development and unpack what you need to know as a parent. In 2014, an app called Musical.ly was introduced, which became a popular way for teens to share videos of themselves lip-syncing to their favorite songs. Three years later, Beijing-based company ByteDance acquired it. They then merged it with another app it owns —TikTok — consolidating their audiences to edge out competitors. TikTok is now a social force to be reckoned with, equipped with all-new features and spreading like a virus. Each video lasts up to 15 seconds, and users can add a variety of filters and effects to enhance them. They also have the ability to send videos privately among friends or with the general public. Anyone can see public videos, even if they don’t have an account. The app compiles the most popular videos into a feed serving as a highlight reel for the entire global platform. Needless to say, TikTok can lead to some unsettling online activity. Users can contact anyone in the world due to the public nature of the platform. Although you can block or report others for inappropriate messages, TikTok has no broader parental controls. Even if you set your own account to private, you may still be exposed to sexual or violent content posted to the public feed. Cyberbullying is also a major issue. People can create multiple accounts, using aliases to target others they don’t like. Trolling is popular on TikTok, too — especially through the “Reactions” feature, which allows users to respond to videos with videos of their own. At its core, TikTok encourages expression through music, but sometimes people express things that are highly personal or sensitive. Kids who admit to depression are often met with dismissive and sarcastic reactions. Some are even publicly encouraged to commit suicide. TikTok also has a “Duets” feature, which has been exploited by sexual predators who use the platform to groom underage users. One user in particular, TheBudday, is notorious for performing suggestive duets with underage girls, sending them inappropriate reaction videos, and even attempting to meet up in real life. Late last month, the FTC fined TikTok $5.7 million for violating the Children’s Online Privacy Protection Act (COPPA). This is the largest civil penalty in a children’s privacy case in history. 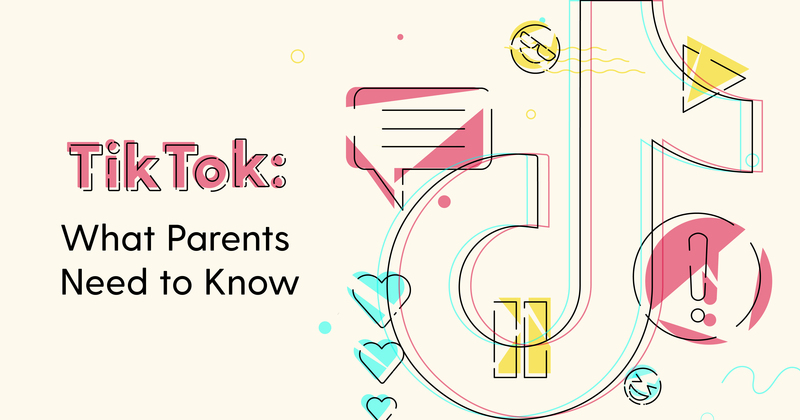 The law requires companies to obtain parental consent to collect the data of kids under 13, and TikTok did not do so. They also failed to notify parents of exactly how they collected children’s data or allow them to ask to have that data deleted. Thousands of parents complained, and in response, TikTok has launched a new product designed specifically for kids under 13. All users will have to confirm their ages, and those under 13 will be directed to the app for kids. TikTok is also offering a tutorial series on privacy and security on the platform. Although these are welcome updates, this case ultimately serves as a reminder for parents to stay on their guard against data abuses. On its merits, TikTok is a great way for teens to keep in touch online. But that doesn’t mean the app will always be a safe place to socialize. Bark monitors online activities on TikTok and more than 24 other social media platforms, as well as texts, chat, email, and YouTube. Sign up today to keep your kids safer online!